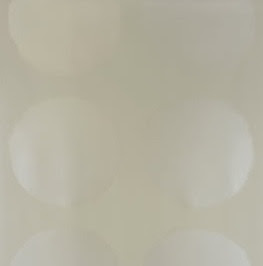 The white tone on tone wallpaper samples that I sent for from Graham and Brown were a bust. 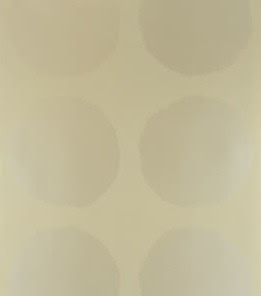 The tone on tone Checker looked dingy and the Curvy didn't read at all, its beautiful geometrical swirls simply disappeared on the foyer walls. The black Checker looked better but was still too one note - not the play on shade I had been expecting. So, if the tone on tone is too boring and the terracotta and gold papers are just too much of a statement what, I wondered, if we went with a less bold color and pattern but a brighter, more metallic hue. 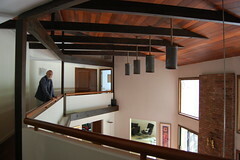 Especially, as you can see in the photo above, we have more open spaces than solid walls in the foyer. What do you think? 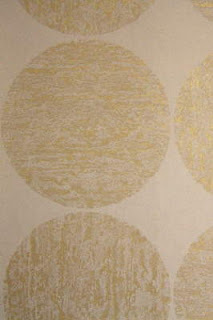 Finally - grasscloth is very mid-century modern and it's making a comeback. 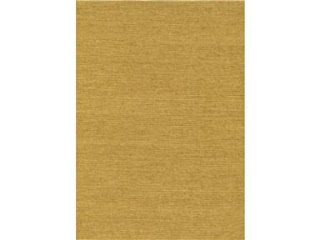 W3043-24 is a 50% grass/50% paper blend in a real golden tone available from Kravet. I like the grass one! I have long loved grasscloth. Far be it for me to hold in my opinion when it comes to picking colors - I love the Carlu in nickel. I think that will really acentuate the dark finish on the wood. I love grasscloth too, so I hate to point out a negative, but here it is: at my last house, one of my cats thought the texture of the grasscloth was as appealing as a scratching post, and he scratched the "strings" loose. I used wallpaper glue to re-attach them, but it didn't quite look the same. Just something to consider. I think I may have to put false nails on Hermes - he's the scratcher. Though, I have been leaving samples of the flock/textured ones taped to the walls and so far cats have ignored them.